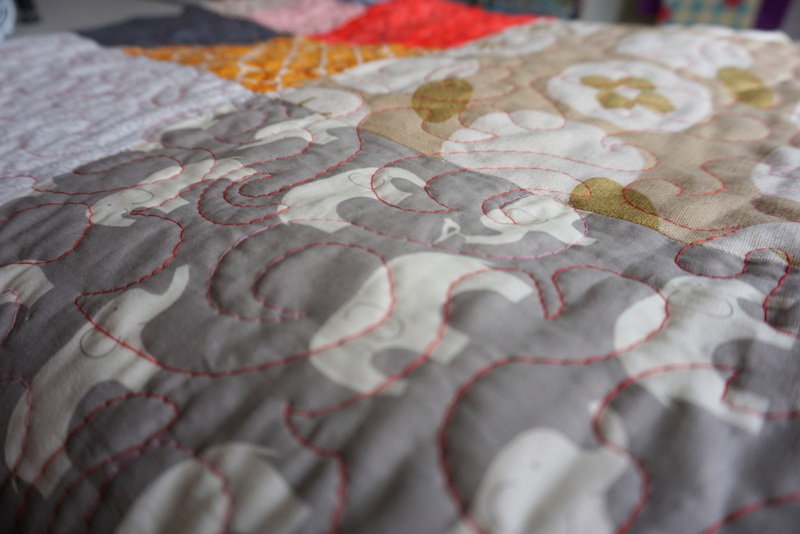 Manic Monday Quilt Is Finished! 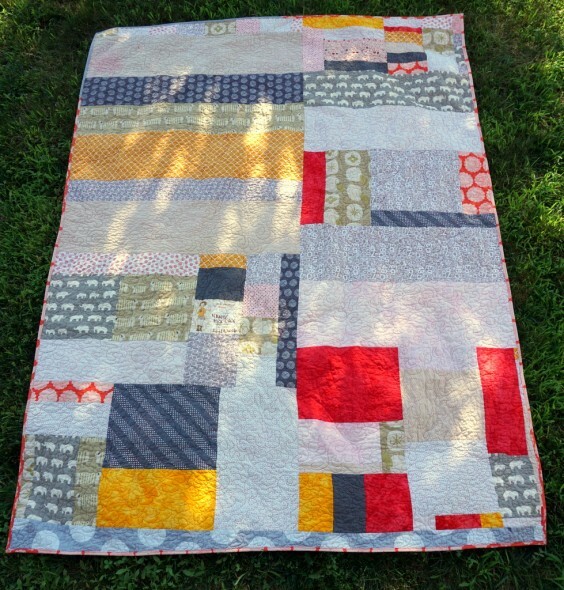 Other posts on this quilt: Manic Monday Quilt Top, Manic Monday Backing, Manic Monday Pt. 3. I still need to write up a tutorial for this at some point, I now have 2 tutorials (maybe 3?) that I need to write up soon. But this quilt is finished, washed, photographed, and moved into its new home on our couch. I love it! This is such a different color scheme for me to work in, and I really, really like it. It gave me so many headaches during the process, though. There was the 12″ block I quilted and didn’t like, so I picked out all the stitches. 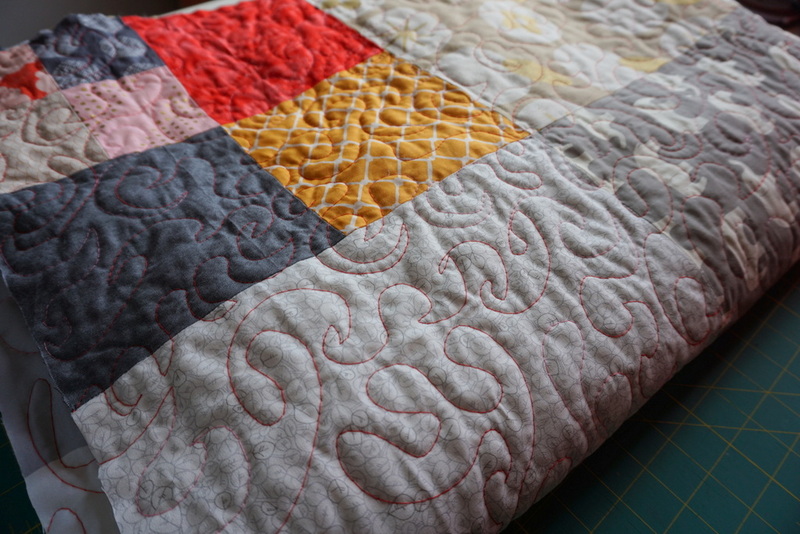 And then, I didn’t make the backing long enough. This has never, ever happened to me before. 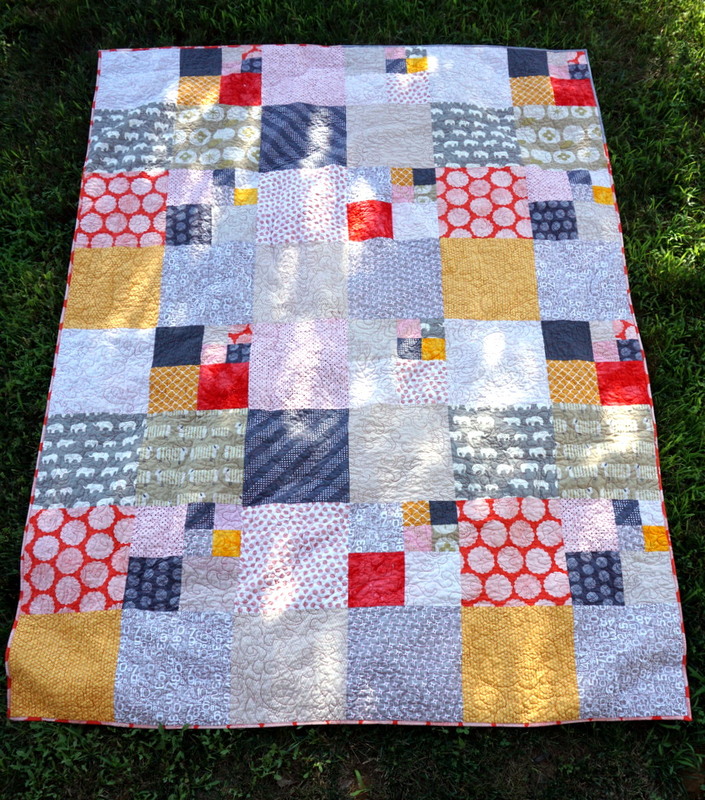 So I finished quilting and realized only the backing was showing across the bottom sliver. I had to pick out all of those stitches, which took even longer, and then sew a strip onto the bottom of the backing and requilt that one section. It’s not totally straight across the bottom, by the time I got to this stage I just wanted it done. So, it’s a little crooked at the back bottom, but I still love it. And overall, I’m thrilled with it. 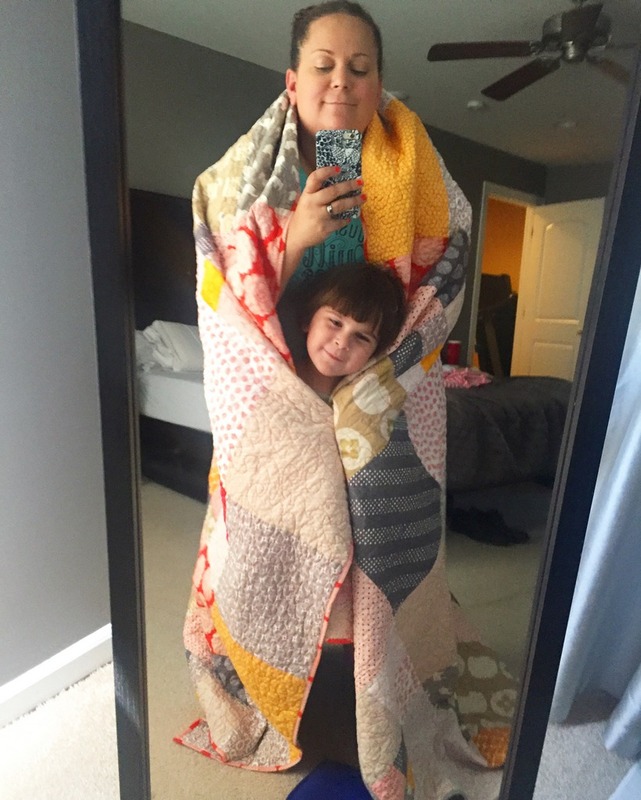 A happy new addition to this blanket-loving family.